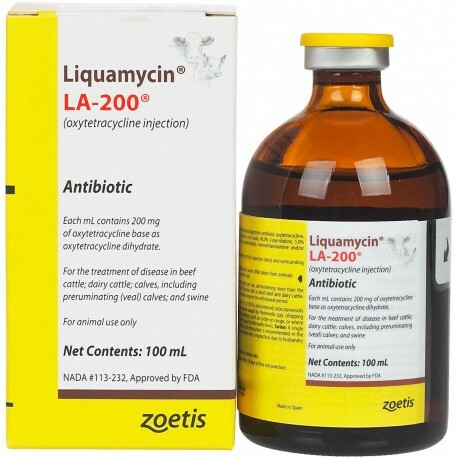 Long-lasting broad-spectrum antibiotic for the treatment of a wide range of diseases caused by susceptible gram-positive and gram-negative bacteria. 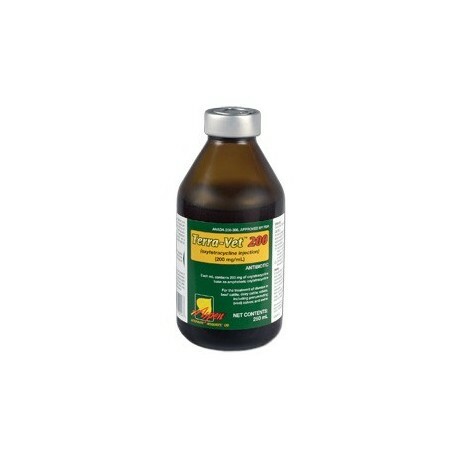 For use in beef and lactating dairy cattle and swine. Provides therapeutic blood levels for 3 days. 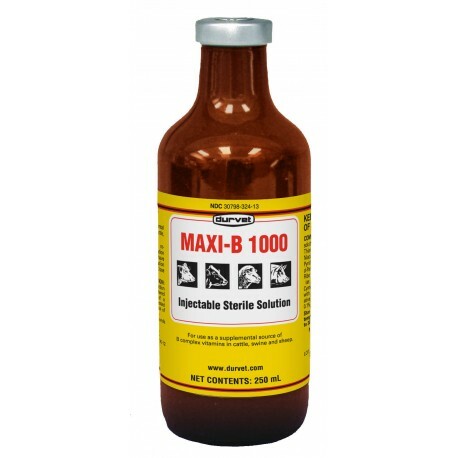 Give 4.5 cc per 100 pounds SQ, IV or IM in the neck. 28 day withdrawal, 96 hours on milk. Not for sale to CA. 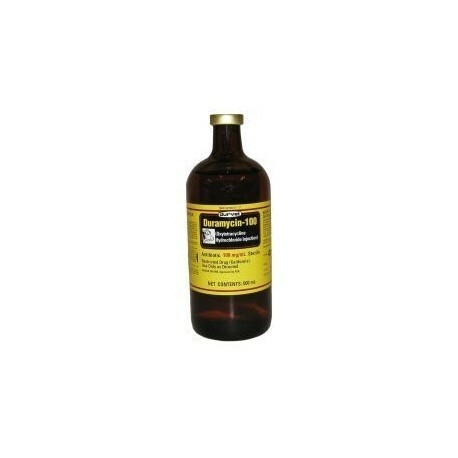 Recommended for use as an aid in the prevention and treatment of vitamin E deficiencies in swine, beef and dairy cattle and sheep. 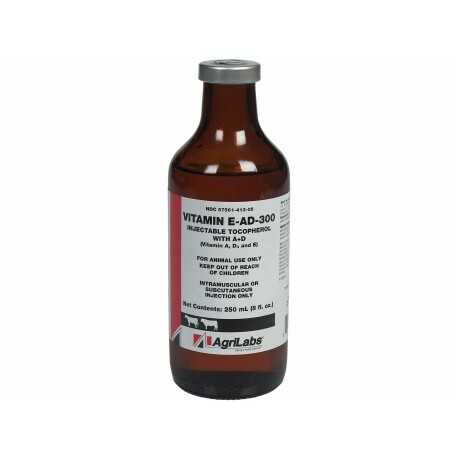 Each cc contains 300 IU d-alpha-tocopherol. For IM or SQ injection only. 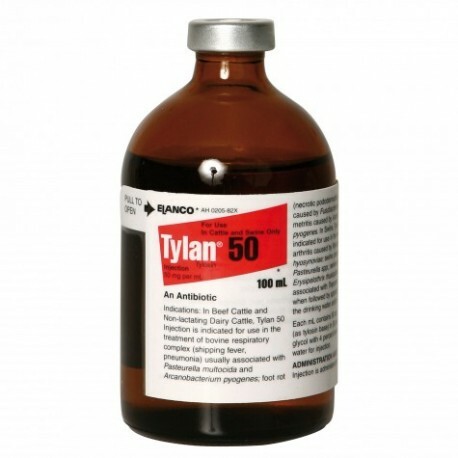 The antibiotic to treat pigs for arthritis, pneumonia, erysipelas and acute dysentery. As well as an effective treatment for beef, swine, and non-lactating dairy cattle for respiratory disease. Not for sale to CA. 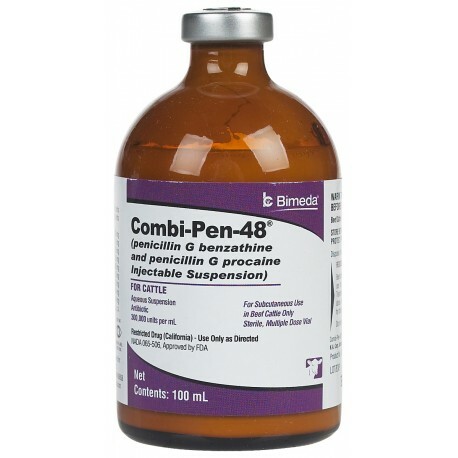 Long-acting penicillin is a suspension containing 150,000 units penicillin G benzathine and 150,000 units penicillin G procaine in each ml. 30-day withdrawal period before slaughter. Private label brands may vary! Only available in 100ml & 500ml at this time. 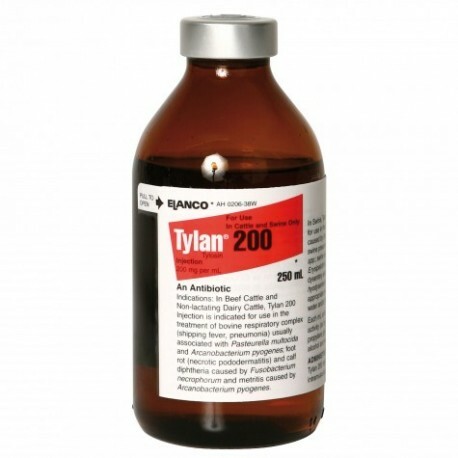 The Short Acting Penicillin is 300,000 units procaine penicillin G. Used for treatment of bactetrial pneumonia(shipping fever) caused by pasturella multocida in cattle and sheep and erysipelas caused by erysipelothix rhusiopathiae in swine and strangles caused by streptococcus in horses. Brands may vary. 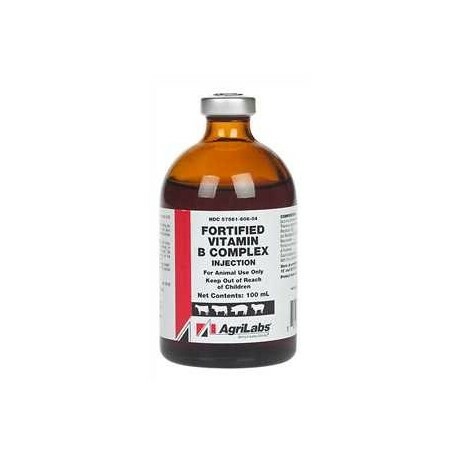 A high potency injectable multi-vitamin solution for use in the relief of B vitamin deficiencies and to provide supplemental nutritional vitamins to cattle, swine, sheep. Brands may vary.